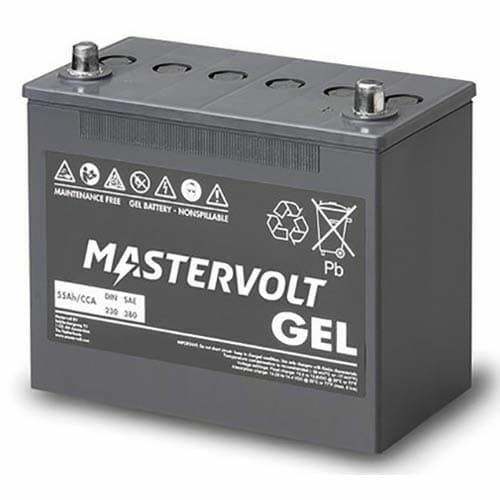 In gel batteries the electrolyte is absorbed by a gel. This type of battery is entirely maintenance free and has no gas formation with normal use. As no extra ventilation is required gel batteries can be installed anywhere. They are ideal as service battery and for cyclical use and can be charged very quickly. Perfect service battery for medium and large 12 V and 24 V systems. Fast recharge high charge current possible.